Scythe Reveals Rasetsu Performance CPU Cooler. 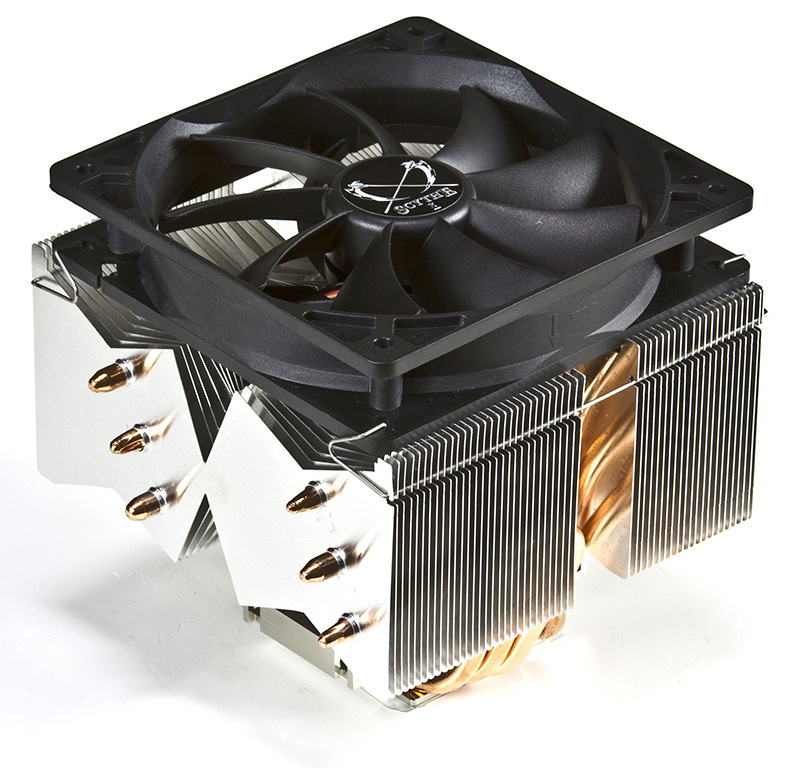 Scythe has officially revealed its new Rasetsu Performance CPU Cooler which was shown back at CeBit 2010. The cooler features a Top Down Design which is similar to the Yasya CPU Cooler which was a outstanding cooler. The cooler has two Aluminum Blocks which are separated through each other and each is equipped with T.M.L.F. (Trident Multi Layer Fin) structure. 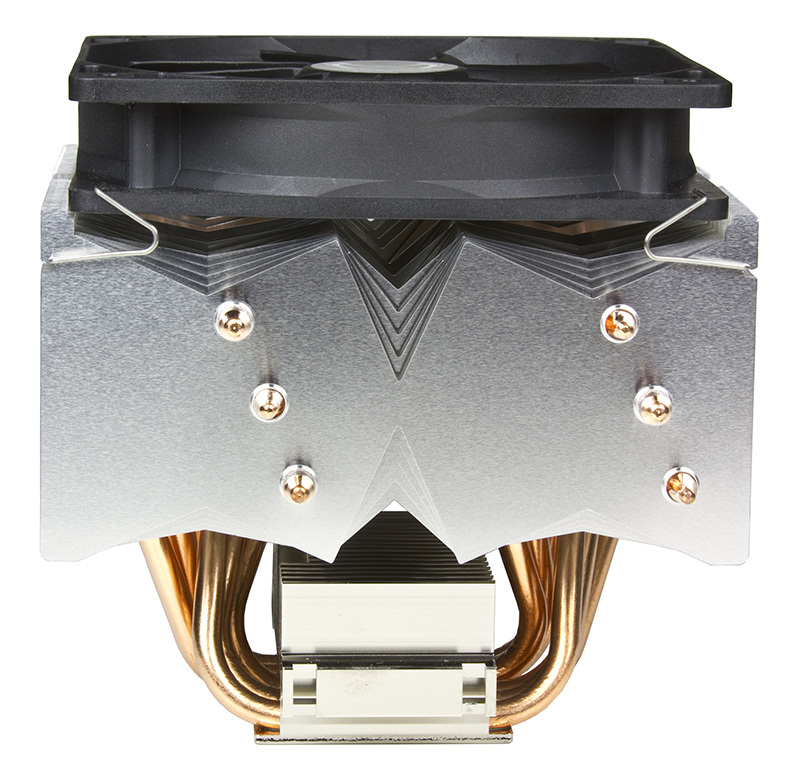 the design helps dissipate heat much efficiently through six copper heatpipes which flow through both the blocks and are cooled by a fan placed on top of the heatsink which flows air towards the heatpipes. The fan is a 120mm “Slip Stream 120 PWM Adjustable” which delivers optimal airflow and the PWM Feature allows to adjust the fan speeds ranging from 470 to 1,370 rpm and 740 to 1,900 rpm. The mounting of the fan is made easy through V.T.M.S. (Versatile Tool-Free Multiplatform System) which doesn’t requires the removal of the motherboard from the case. 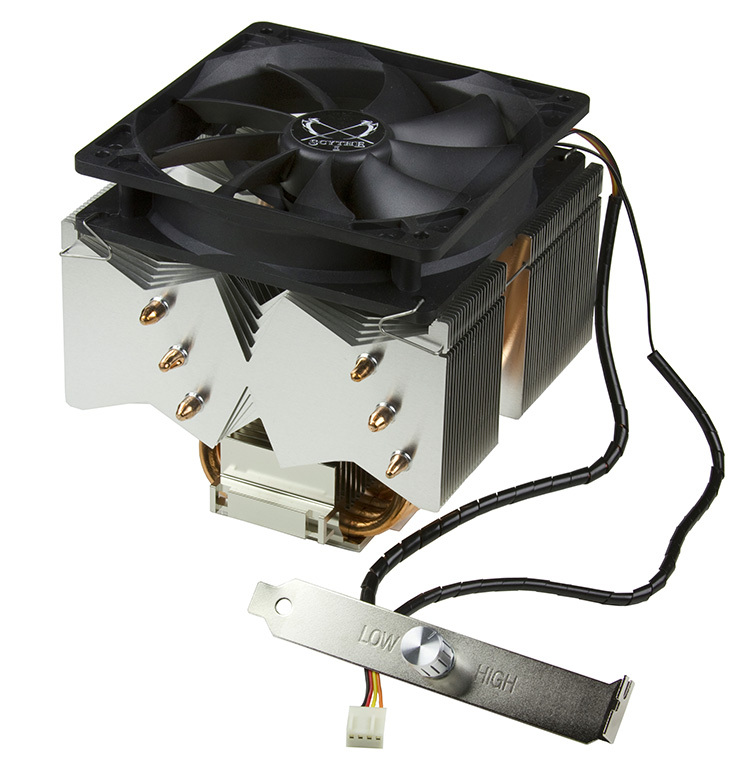 The cooler is compatible with the newer LGA 1156, 1366 and AM3 Sockets. Weight Included Fan: 730 g / 25.75 oz. Accessory: Mounting CLips for AMD & Intel Sockets, Thermal Grease, Manual.